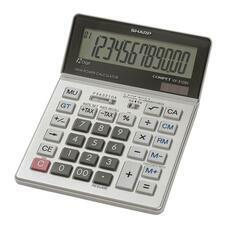 Find the best deal for Sharp EL330AB Tilt Display Calculator sorting the prices, lowest to higest and/or higest to lowest. Chose the store before you read the seller ratings. The merchants are responsible for providing GoShopping.com with correct and current prices. Although we make every effort to present accurate information, we are not responsible for inaccuracies. 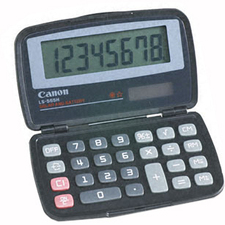 Professional, semi-desktop calculator features a sleek, glass-top design and an extra-large, 8-digit slant LCD with punctuation for easy viewing. Twin-power solar operation automatically switches from solar to battery power in low light. Four-key memory includes memory plus, memory minus, recall memory, and clear memory keys. 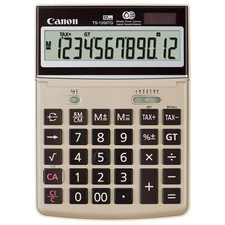 Other functions include tax calculations, percent key and sign change keys, constant, and currency conversion. 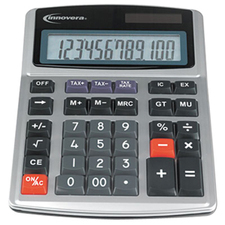 Calculator is lead-free and mercury-free.